Have you all put up your Christmas trees yet? As an American, I’m ready for the Christmas season as soon as Thanksgiving is over. I just love this season, and since I’ve been in Europe I have missed the pervasive twinkle lights and all-around gezelligheid that Americans are so good at during this season. 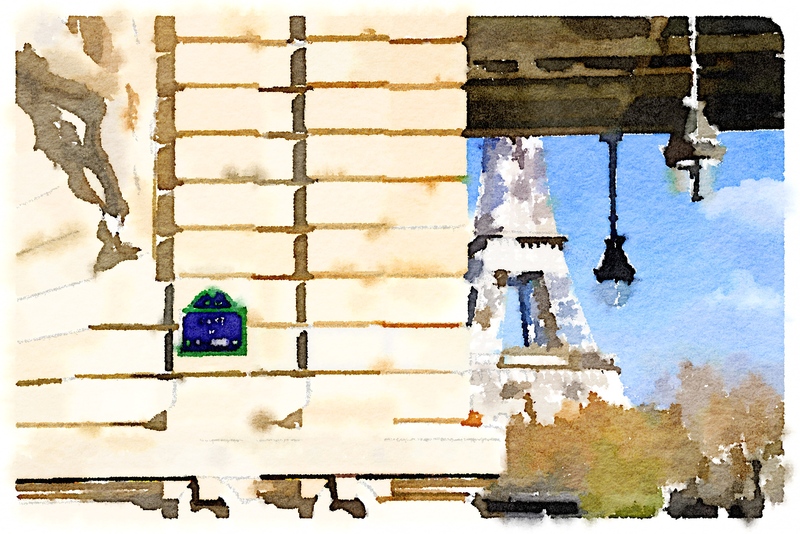 Today’s Waterlogue includes a photo from the bridge that joins Île de la Cité and Île Saint Louis, right at the heart of my favorite place in Paris. The beautiful Parisian façades are a lovely backdrop to the blue-ribbon-laden Christmas trees. The second image is a simple collection of all sizes of sapins de Noël available for sale at a florist in St. Germain des Prés. 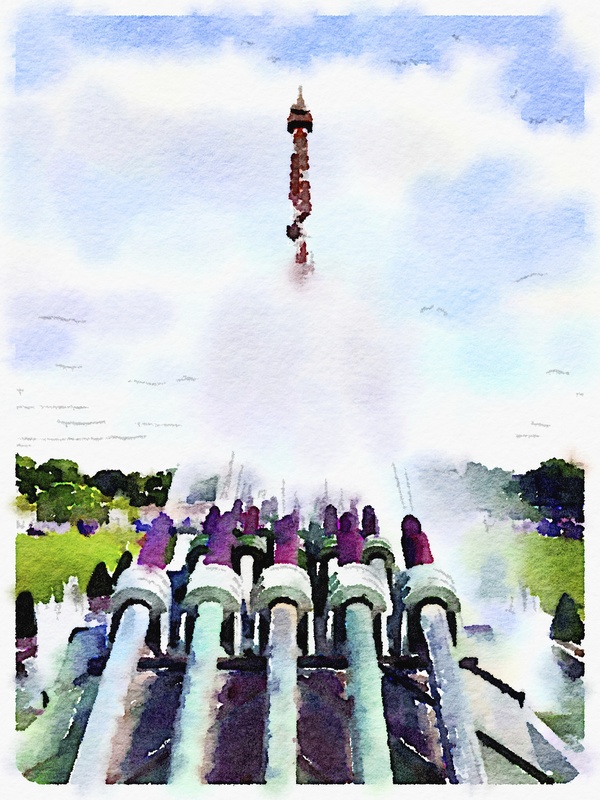 Today’s Waterlogue commemorates one thing… something I’ve been looking forward to for the last three months: I’m baaaaaaack!!! 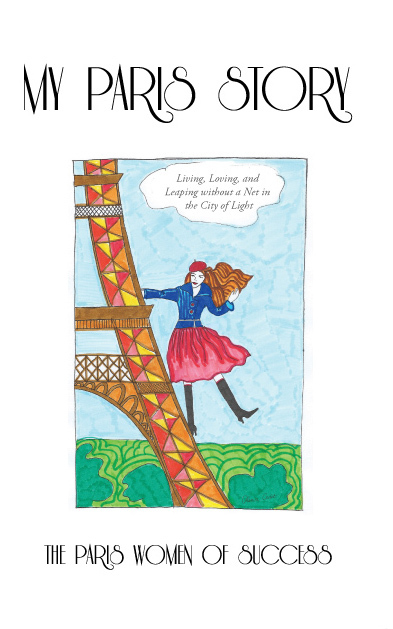 I’m so excited to return to France, especially at this time of year. How I love this season here. Look for lots more photos to come.